PlasmaQuant® MS is the universal workhorse for a wide range of applications in routine analysis. It offers cost-effective and efficient analysis in environmental monitoring, food safety, quality control of pharmaceuticals and nutraceuticals, agriculture, chemicals, and petrochemicals. We are deal in this ICP Mass Spectrometer. This high performance, double focusing magnetic sector field ELEMENT 2 ICP-MS is optimized for ease-of-use, stability and productivity, providing access to a powerful technique for solving a specific problem with excellent sensitivity and signal-to-noise ratio. We are able to supply a wide range of Inductively Coupled Plasma Mass Spectrometer. PP-TOFMS couples a glow discharge plasma to an ultra-fast time of flight mass spectrometer and provides chemical analysis of solid materials as function of depth. Principle: ICP-MS is a multi-element technique that uses an ICP plasma source to dissociate the sample into its constituent atoms or ions. The ions are extracted from the plasma and passed into the mass spectrometer, where they are separated based on their atomic mass-to-charge ratio by a quadrupole or magnetic sector analyzer and detected by electron multiplier. Our company is one of the leading supplier as well manufacturer of Inductively Coupled Plasma Mass Spectrometer. 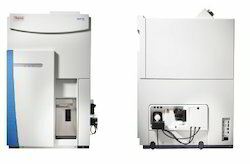 Inductively coupled plasma mass spectrometry (ICP-MS) is mainly used for rapid, precise and accurate trace element determinations in liquid and solid samples. Elemental analysis in herbs, ayurvedic formulations, spices, drinking water, waste water, soil, food, cosmetics etc. at different levels (from ppb to ppt). We are a well known supplier of Inductively Coupled Plasma Mass Spectrometer at our place. We are a well known supplier of Inductively Coupled Plasma Mass Spectrometer. We are providing to our valuable customers Inductively Coupled Plasma Mass Spectrometer. Our company is offering to our valuable customers Inductively Coupled Plasma Mass Spectrometer. We are one of the leading supplier of Inductively Coupled Plasma Mass Spectrometer. 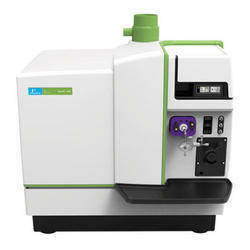 We are offering to our valuable customers Inductively Coupled Plasma Mass Spectrometer.